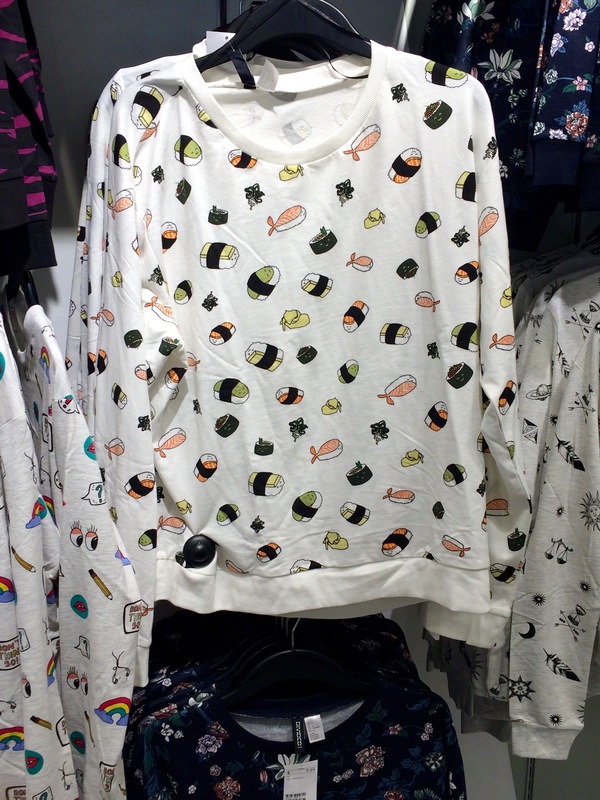 I recently blogged about my obsession with all things sushi, and lo and behold yesterday while I was browsing around H&M I came across this sushi printed sweater. And the best part? It’s under $10! Tags: fashion trends, sushi printed sweater. Bookmark the permalink.